I got a notification of a comment on a question in meta, so I have opened the question in the android app. My problem is I now want to take a look at meta's question feed, but I can't find a button to do this. 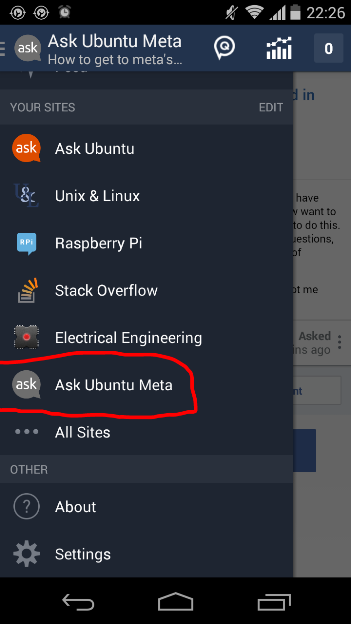 I can view the main sites and meta.SE, my notifications & questions, achievements etc, and the ask question thing, but not a list of questions for AskUbuntu's meta. Slide out the left pain and scroll to the bottom. 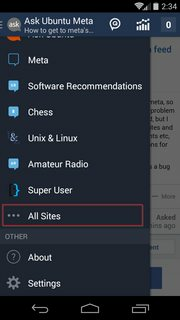 Tap "All sites". From here you can filter the list to just meta sites, or search directly. 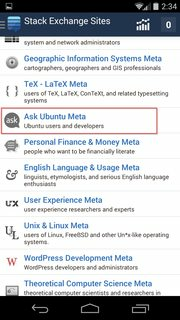 Eventually Ask Ubuntu meta will be in the list. Not the answer you're looking for? 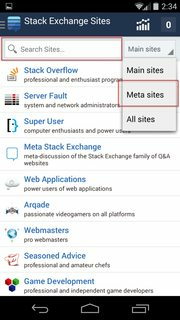 Browse other questions tagged support meta android .